Al-Maliki Does Not Get a Third Term in Iraq, so what? Iraqis must be uber-cautious towards any signs of dictatorship or even tendencies showing a potential authoritarian rule. After enduring 35 years of horror and oppression, they got rid of one the most brutal, violent and tyrannical dictators. They definitely do not wish to be in the same position again. Iraq is a parliamentarian political system, intended to function with a strong parliament. There is a national unity government at the moment (Feb 2013) with more than 13 active political parties and 3 major coalitions in the parliament. It will be a good few years and some dramatic changes on the political scene before Al-Maliki can realistically be considered as a threat to Iraq’s fledgling democracy. Al-Maliki who has been a Prime Minister since 20th May 2006, can be quite stubborn, single-minded and tribal-like in his approach. He was sworn in for a second term on 25th November 2010. During this period he has certainly expanded his hold increasingly. Al-Maliki who until 2006 was a “2nd class” politician hardly known amongst Iraqis, has still a very long way to go to become an extraordinary national leader on par with the likes of Charles de Gaulle in France or Winston Churchil in Britain. On the other hand, many of the current Iraqi politicians are very skilful in the art of P&L, that’s ‘Profit & Loss’ balance sheets in business terms. This is combined with Short-sightedness and lack of strategy. There are of course others who defy this perception and are more principled. This P&L attitude could present an opportunity for a shrewd dexterous dictator-to-be something that Al-Maliki does not seem to be yet! 170 (out of 325) MPs attended an Iraqi parliament session on Saturday 26th January 2013 and voted for a law which prevents PM Nouri Al-Maliki from running for a third term. Constitutional or not, this law is another display of the unusual “fascination” held by some Iraqi politicians to oust the PM. This is not the first attempt to oust him below are some examples of this fascination. 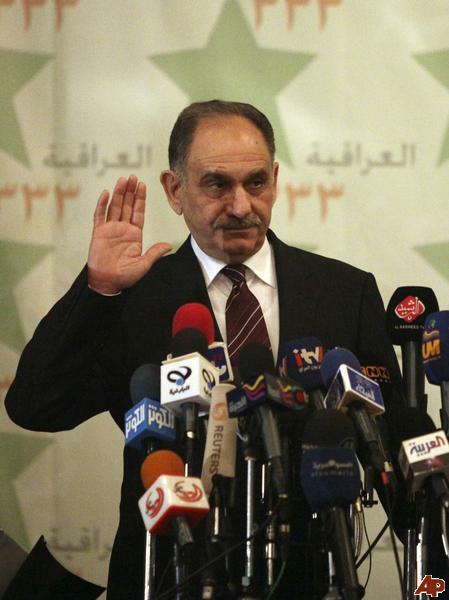 December 2006 – Maliki Out as Iraqi PM? Despite being in coalition with Iraqi PM, Al-Mutlaq has constantly, sometimes bitterly criticised Al-Maliki. He has been a regular driving force in any attempts to oust Al-Maliki. This law still needs the Iraqi president’s –Jalal Talabani – approval. Iraqi President is in Hospital in Germany said to be “responding well to treatment” after suffering stroke. The current defacto president is Khudhair Al-Khuza’i the only vice president and an ally of Maliki. The law will face challenges in the Iraqi Federal Supreme Court. 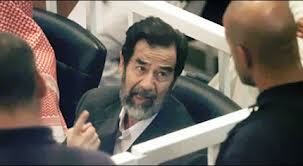 Al-Maliki is neither a ‘divinely guided’ deity nor is he Nelson Mandela. If ousted the Iraqi National Alliance is still the largest bloc in the parliament and New Iraq will continue to exist, honest. Operation Knights‘ Assault during March 2008 which aimed to restrict or eliminate criminal gangs and militias in Basra and other cities. Operation Um Al-Rabi’ain during May 2008 in Mosul which aimed to dismantle Al-Qaeda’s network in their Mosul stronghold . US – Iraq SOFA (Status Of Forces Agreement) approved on November 2008. In 2009 provincial elections AL-Maliki’s state of Law had the upper hand. Arrest warrant against Hashemi On 20 December 2011 for charges of terrorism and running death squads. Complete withdrawal of US forces on December 2011. Holding the Arab summit in Baghdad on March 2012 for the first time since 22 years. His stand-offs with Kurdistan’s Barzani which peaked in November 2012 and the troops deployment from both sides. The arrest of Finance Minister body guards In December 2012, who were accused of being a death squad committing numerous terrorist acts. Iraq oil production exceeding 3.2 million bpd jumping from 1.9 million in 2006 when Maliki took over. Iraq is OPEC’s 2nd biggest producer in 2012-2013. Iraq’s politics is so dynamic it could sometimes be amazingly unpredictable. As was the appointment of Al-Maliki in 2006 and later in 2010 a bit of a surprise to some, the next Prime Minister could well be as unexpected. 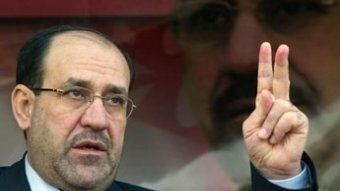 In Addition to Al-Maliki’s persistent attempts for a 3rd term, Dr. Hussain Al-Shahrestani (Deputy PM) has been tipped by analysts close to decision makers in Iraq as a serious contender for the PM job. His long-standing alliance with Al-Maliki and general acceptance by Sadrists, ISCI (Ammar Al-Hakim’s) and even Sunnis due to his role in helping resolve the “Sunni” protestors’ demands are key factors. In addition to that the powerful Shia leader Ayatollah Ali Al-Sistani is not likely to oppose this. 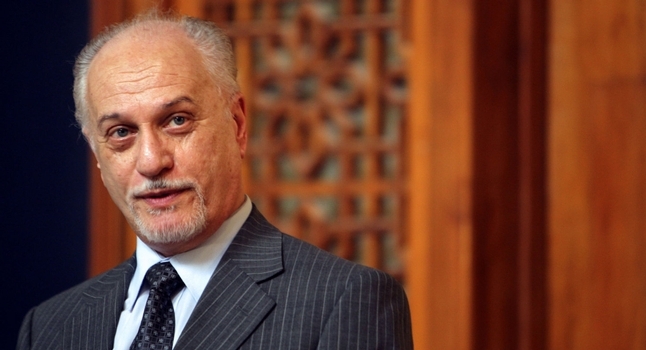 Masud Barzani of Kurdish Alliance have had constant stand-offs with Al-Shahristani mainly about oil deals in Kurdistan which are viewed as illegal and may object to such proposals. However, the Kurdish Alliance holds 43 seats out of the 325 parliament seats in Iraq, almost half of those 43 seats belong to Jalal Talabani’s PUK who holds a much better relationship with Al-Shahristani. Even if the law is passed in parliament it will never get approved by the Iraqi Federal Supreme Court because there is no clause/article within the Iraqi constitution that limits the terms of the PM . Thus, there is no legal or constitutional basis more importantly it would be at odds if the courts validates such a law because it goes contrary to their prior decisions like the 2010 election and appointment of the bigger bloc after election etc. Enter your email address to follow - eSPecial View - and receive notifications of new posts by email. Iraq: Mosul gone .. What’s Next?